I remember sitting in antenatal classes before having our first baby when the midwife asked the soon-to-be-parents what they were planning for the nursery. Therein followed the details of elaborate extensions to houses, remodelling of rooms and lots of discussion about paint colours. My husband and I sat very quietly – we lived in a one bedroom flat and the baby was going in a cot in the corner. Had we failed the first parental hurdle?! Clearly not, according to designer David Keune. 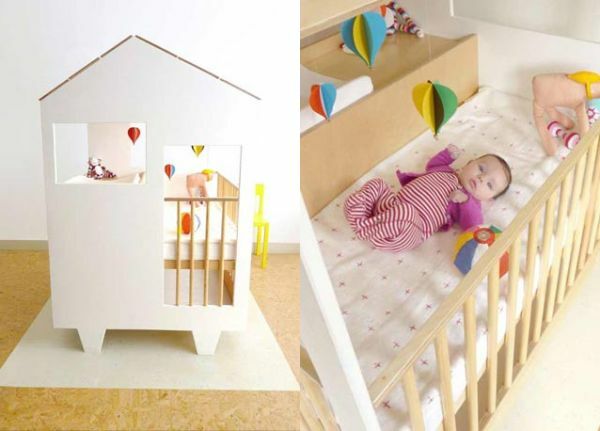 Keune created Nina’s House out of the need for a separate space for a newborn, without having to renovate or move house entirely – very sensible, I say. 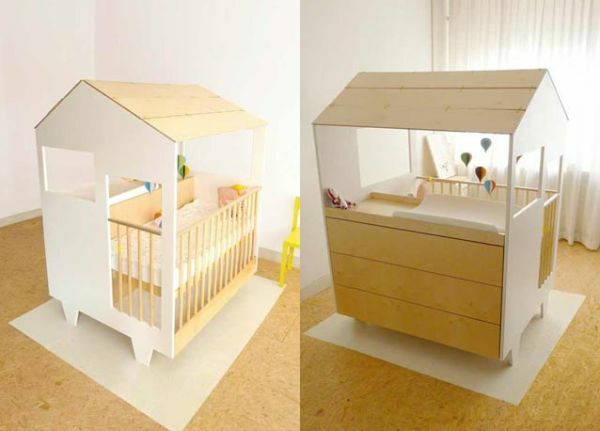 The little house accommodates all the necessities for a baby – a cot, storage and a change table. The chest of drawers opens and closes with a slight push of the knee so that when you are up to your elbows at nappy change time you can keep both hands on the job. The house also features a retractable roof, is wheel mounted so that it can be moved around easily and can be disassembled and flat packed for storage.